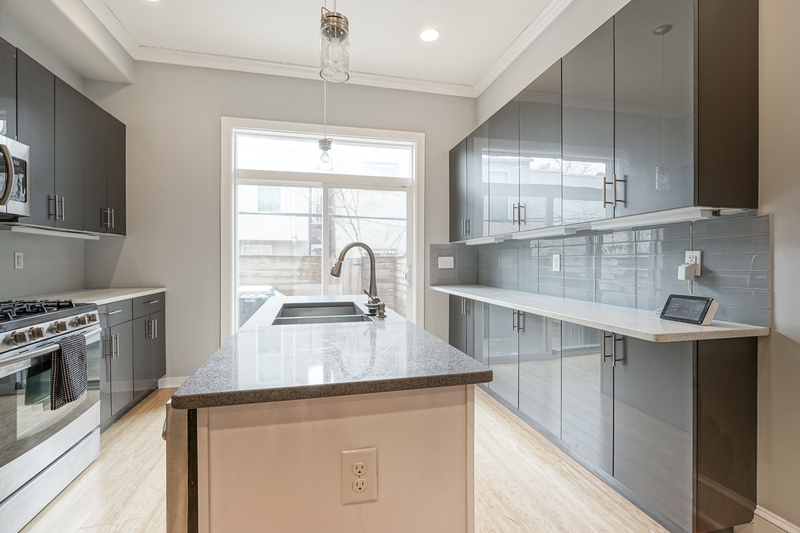 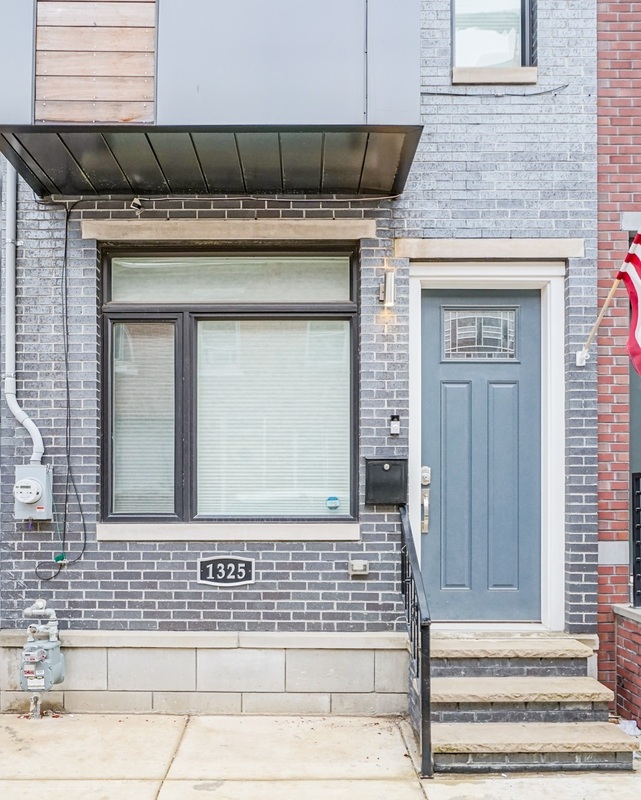 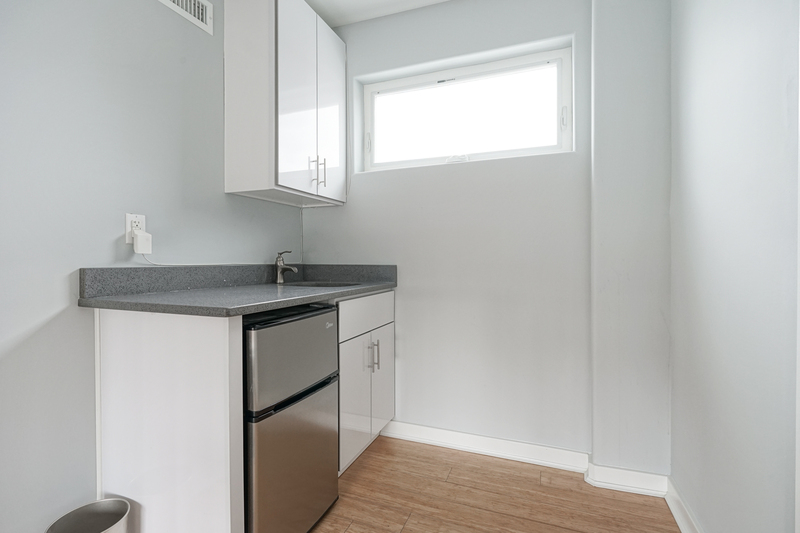 This practically new construction home is 3 years young and ideally situated on a very quiet ‘Garden’ block in red hot Point Breeze. 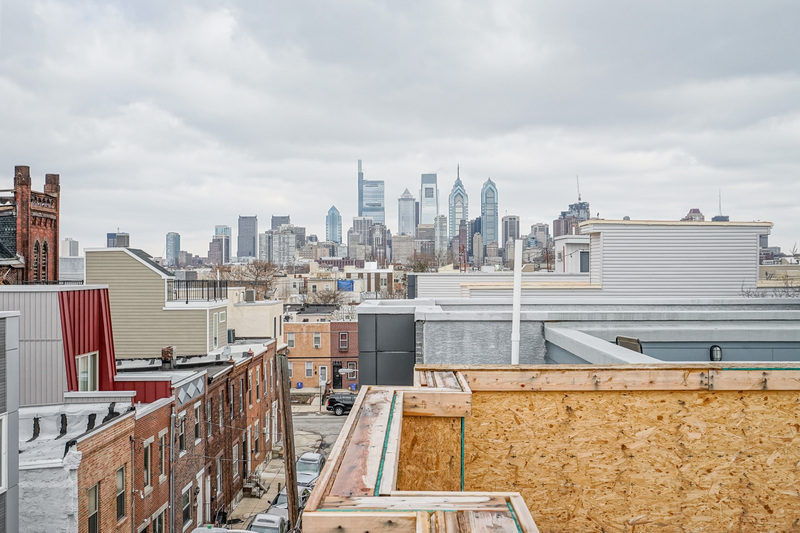 Built in 2016, there are plenty of years remaining on the 10 year tax abatement. 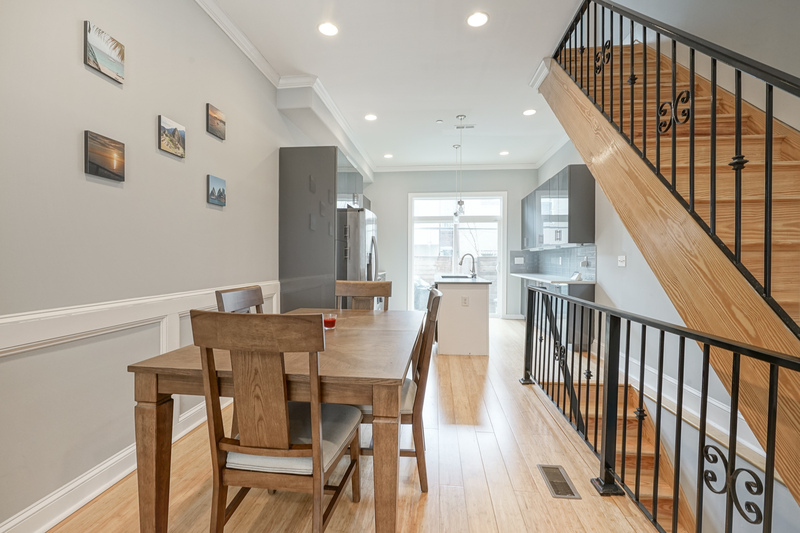 The home boasts a modern open floor plan complemented by hardwood floors, recessed lighting, built-in speakers and crown molding. 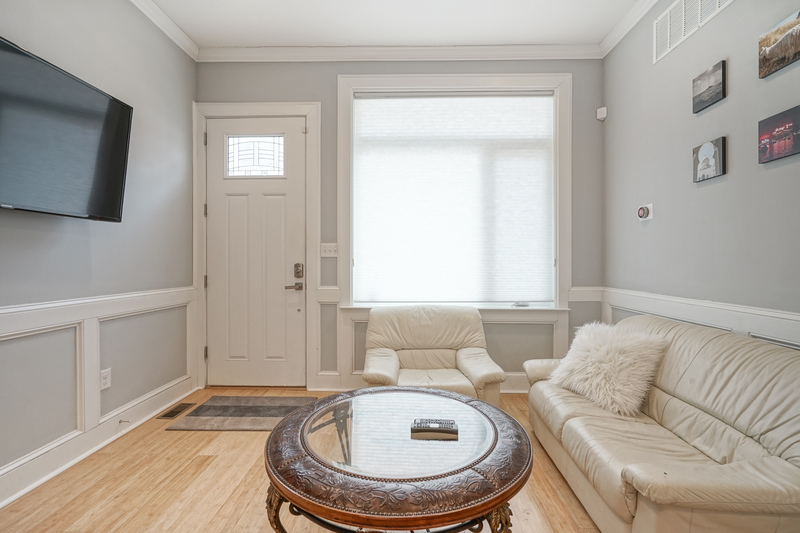 The living room is also flush with natural light from the oversized windows. 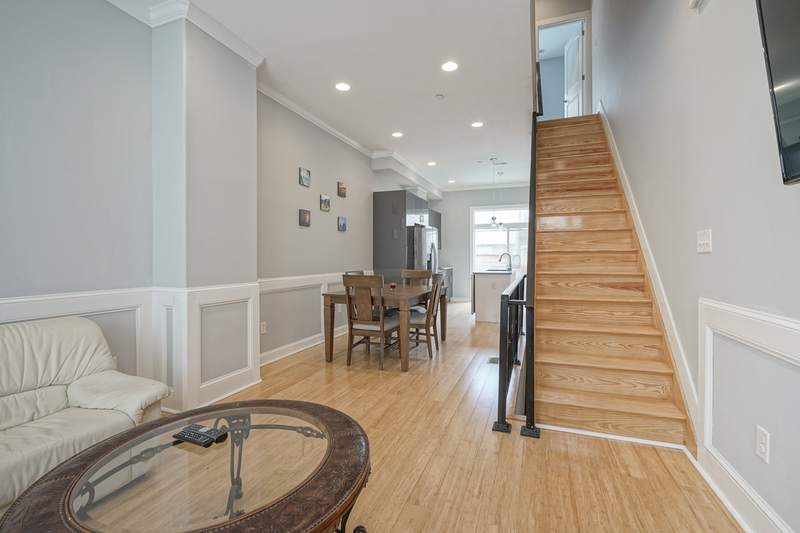 Continue past the living room and enter an open eat-in kitchen and dining area. 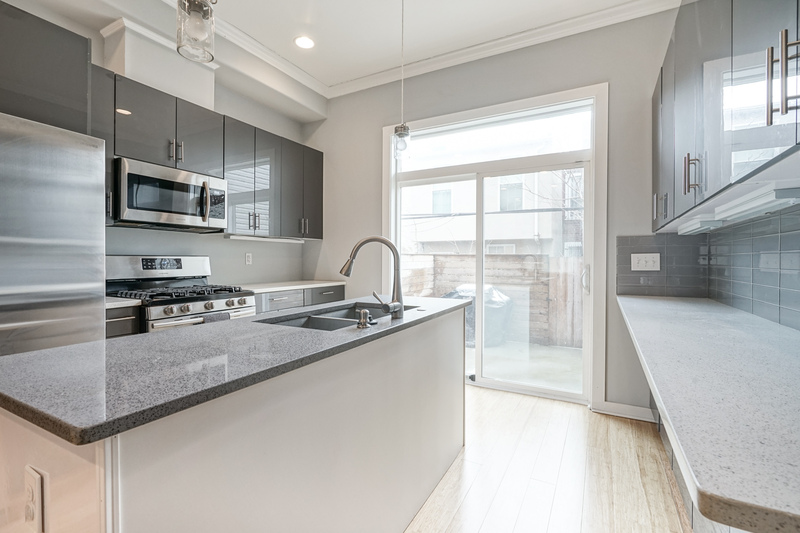 The chef inspired kitchen is outfitted with a large island, stainless steel appliances, European style soft-close cabinets, contemporary countertops/backsplash and under cabinet lighting. 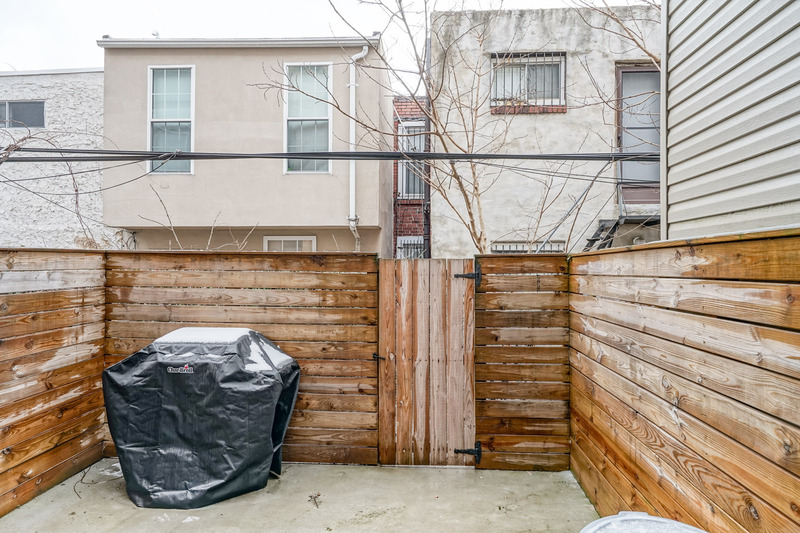 Large glass sliding doors lead you to the spacious patio with plenty of room to host a BBQ. 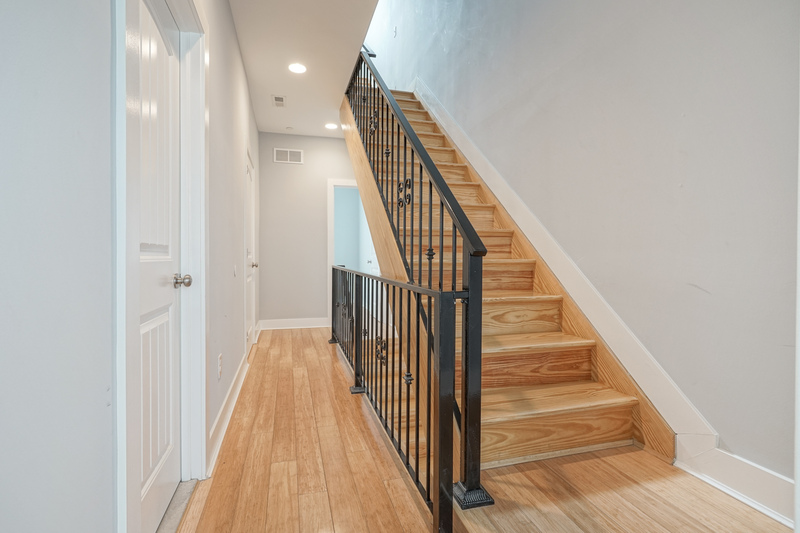 Follow the pine staircase with custom railing up to the 2nd level of the house and find two guest bedrooms, a full bathroom and laundry room. 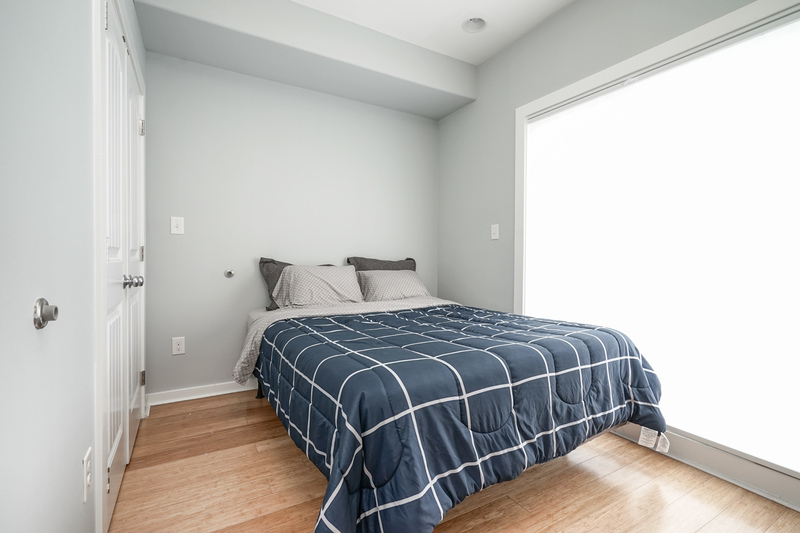 Each bedroom receives an abundance of natural light from large windows and each have double-door closets. 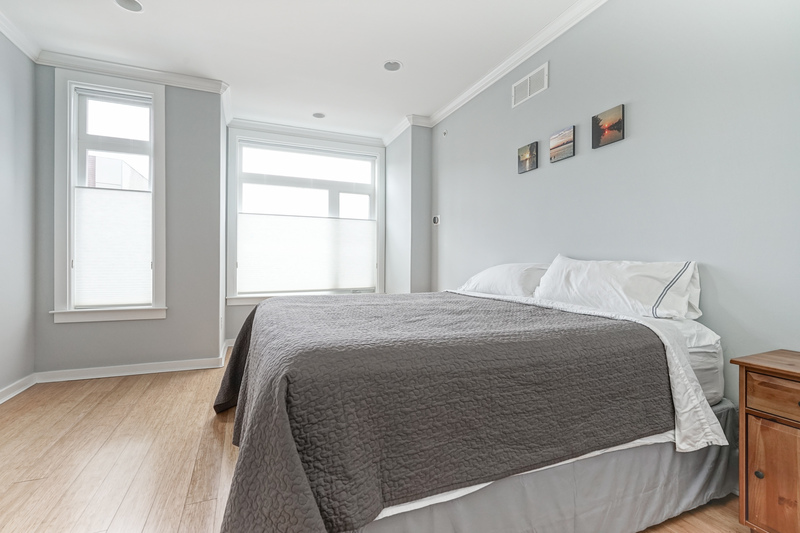 The rear bedroom features a small balcony. 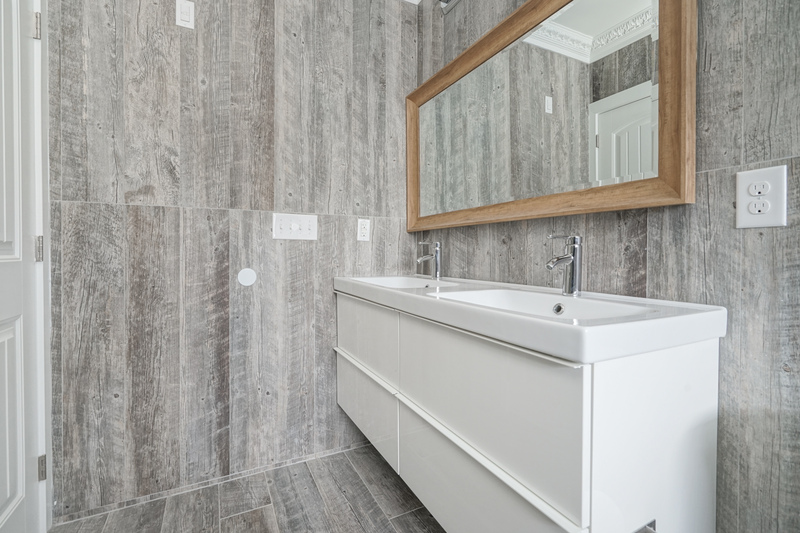 The full bathroom has a custom vanity set. 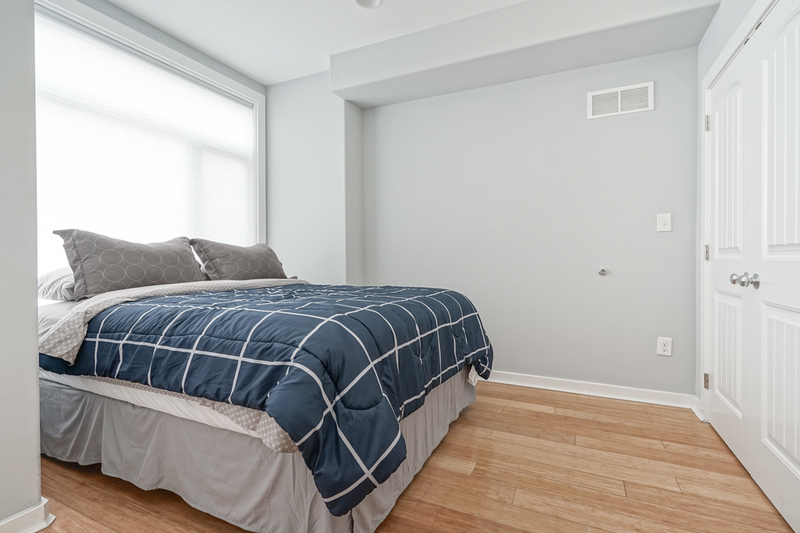 Continue on to the 3rd floor master suite complete with a custom, spa-like bathroom and a ultra spacious walk-in closet. 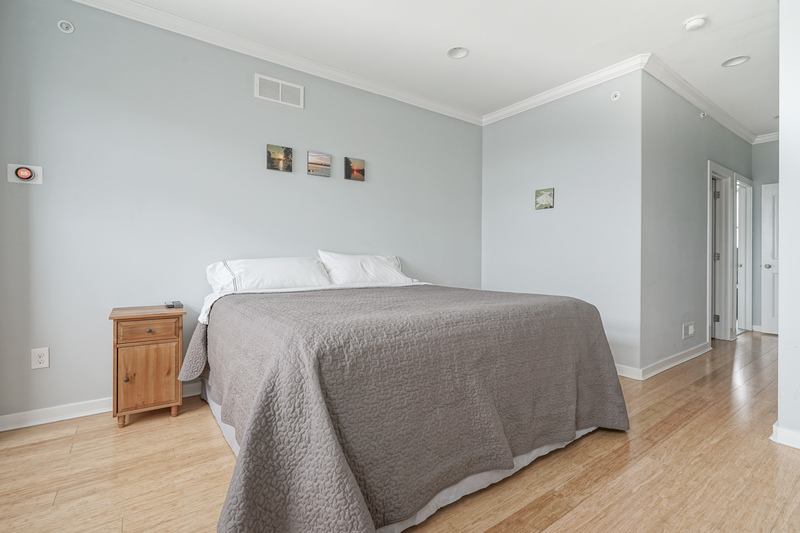 The extra large master bedroom is spacious enough for a king bed with plenty of room to spare. 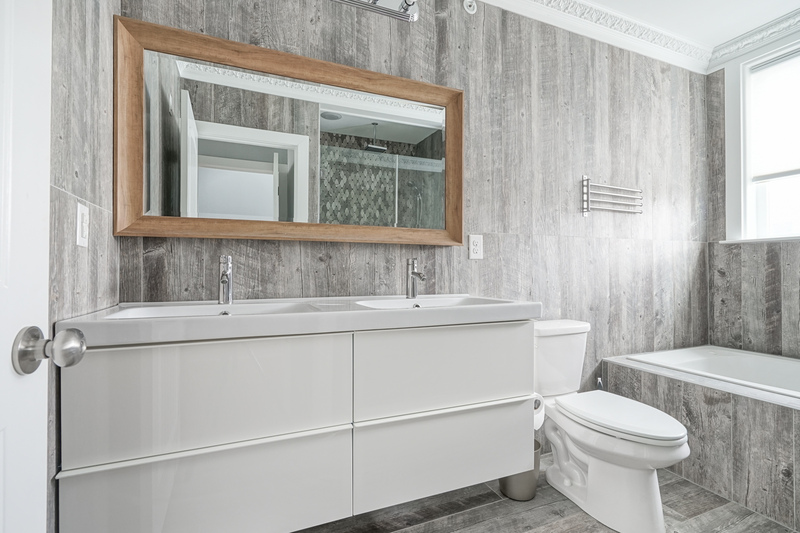 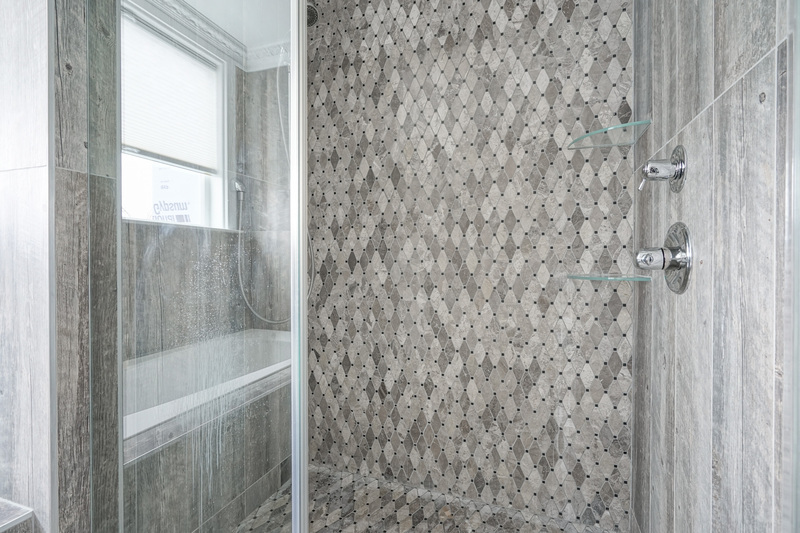 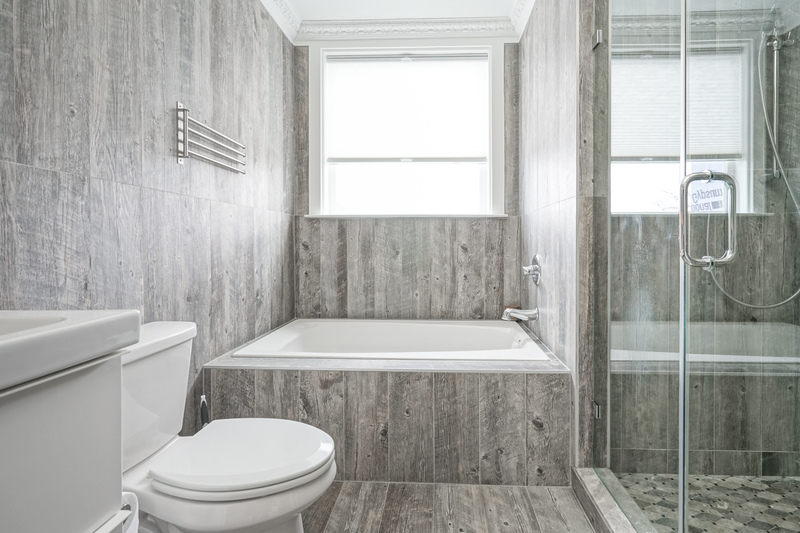 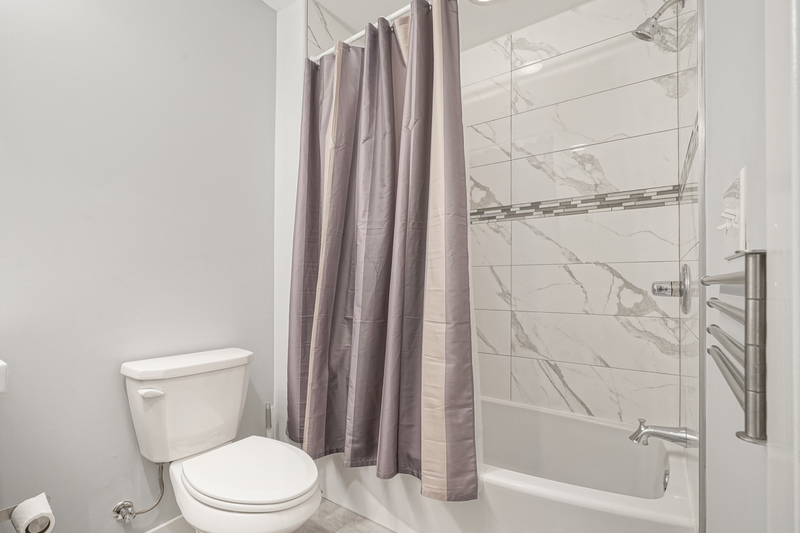 The master bath features custom tile-work, a custom vanity set, a contemporary soaking tub with whirlpool jets and a designer rainfall shower. 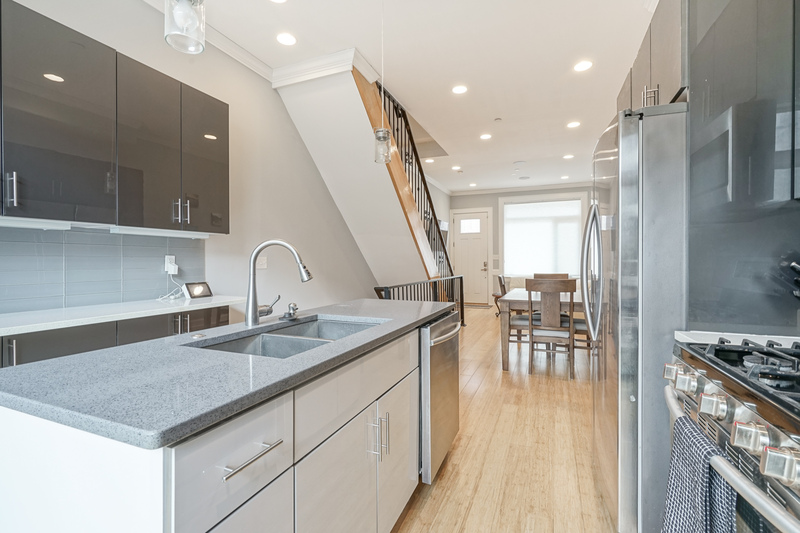 Take the final set of stairs up to the pilot house where you will find a full wet bar with access to your private rooftop deck with stunning 360-degree views of the Philadelphia skyline. 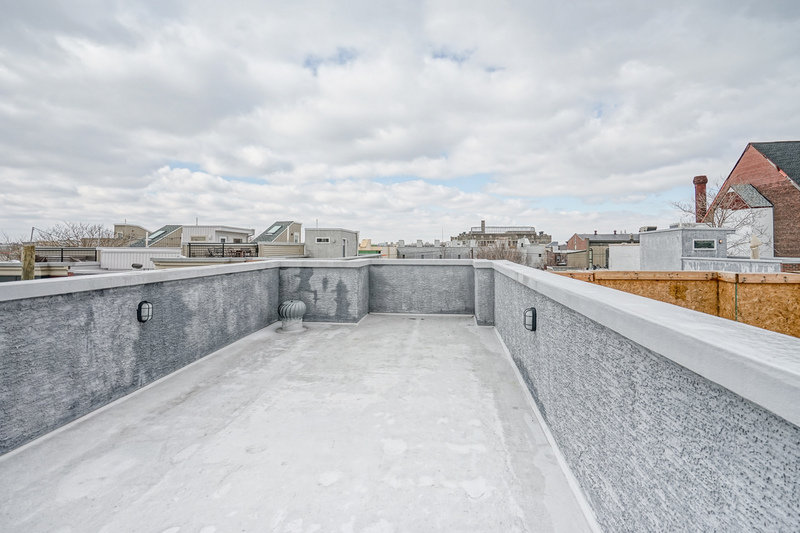 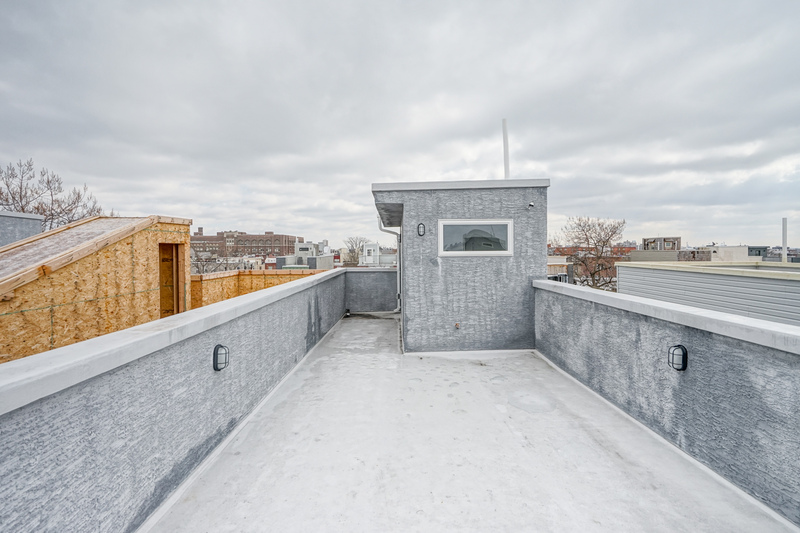 The rooftop deck is equipped with electric and water lines making it an ideal area to host parties and get-togethers. 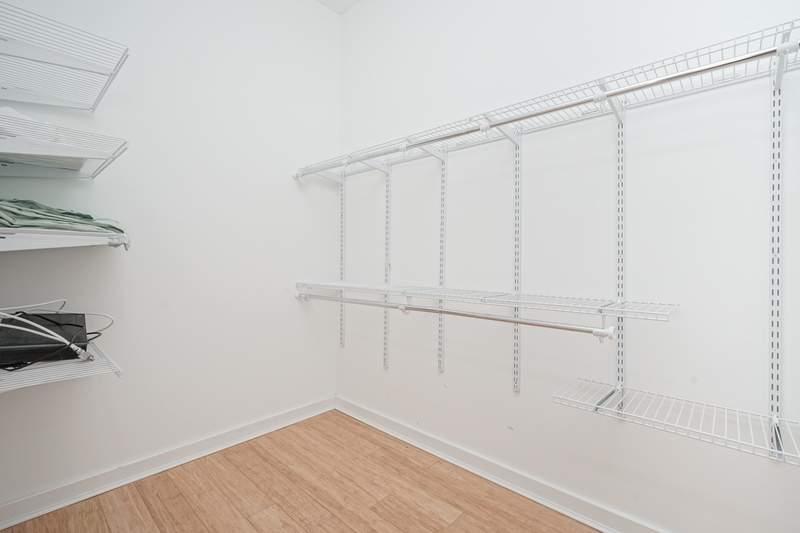 The spacious finished basement offers the option to utilize it as a large extra 4th bedroom, home office or gym. 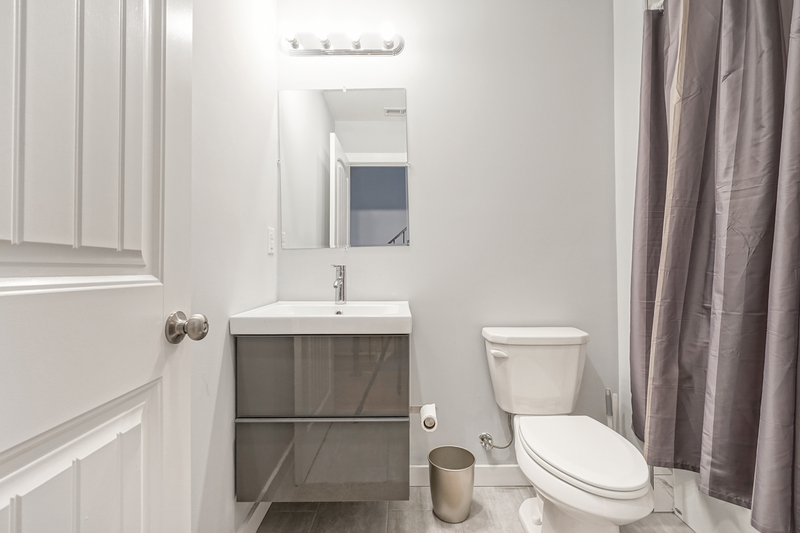 The basement also includes a custom full bathroom, utility closet, and laundry room. 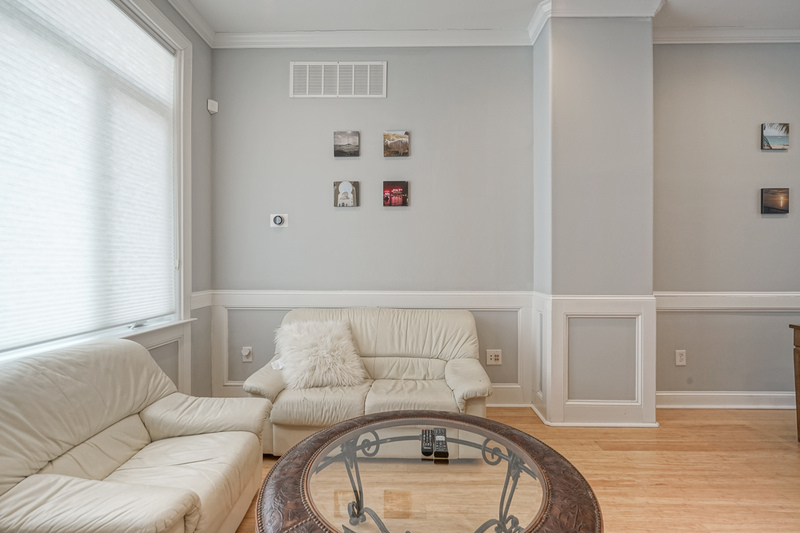 This home also features Nest Thermostats with dual zone HVAC, a Ring doorbell and 3 Xfinity security cameras. 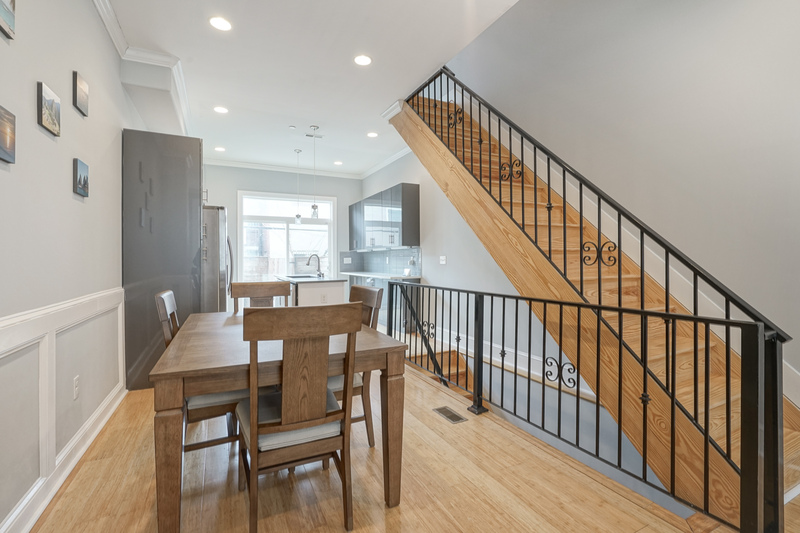 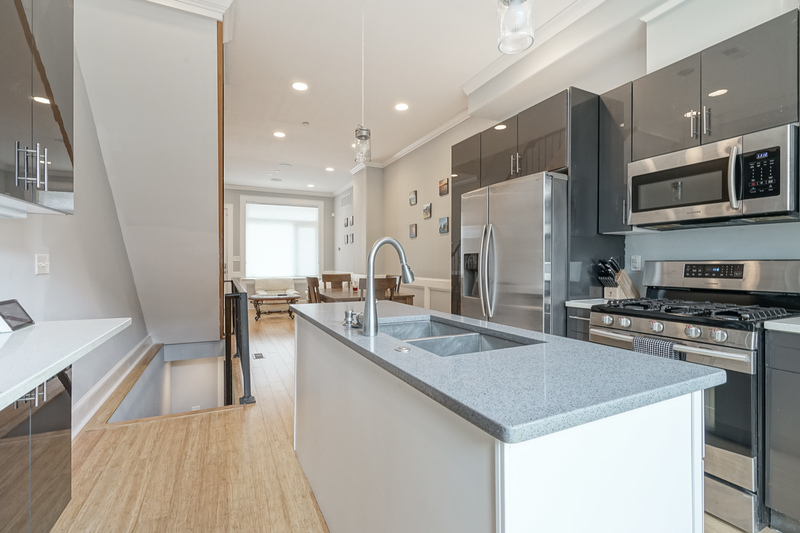 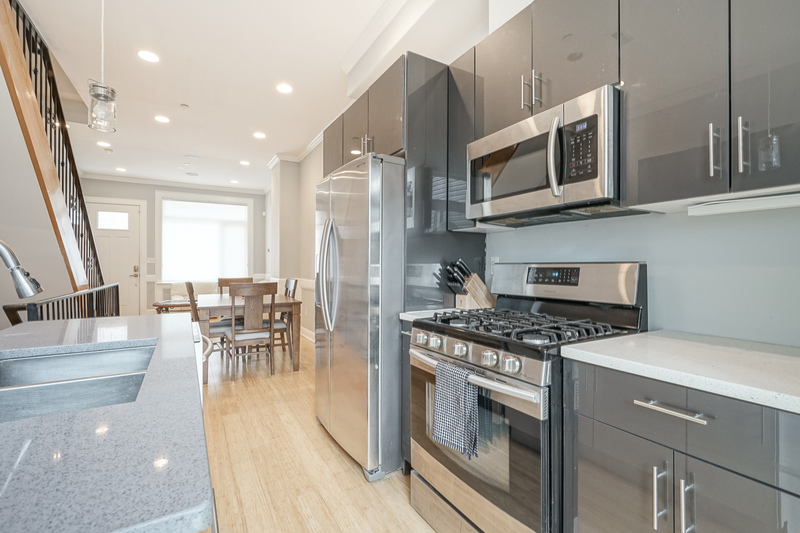 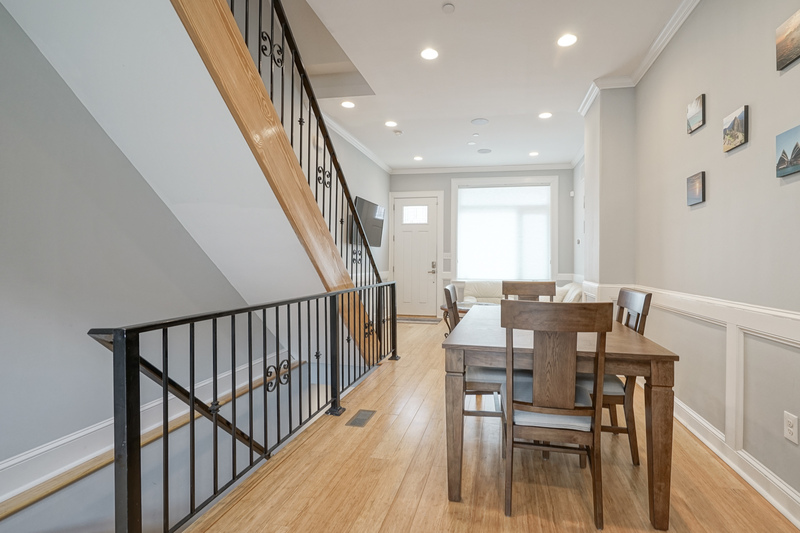 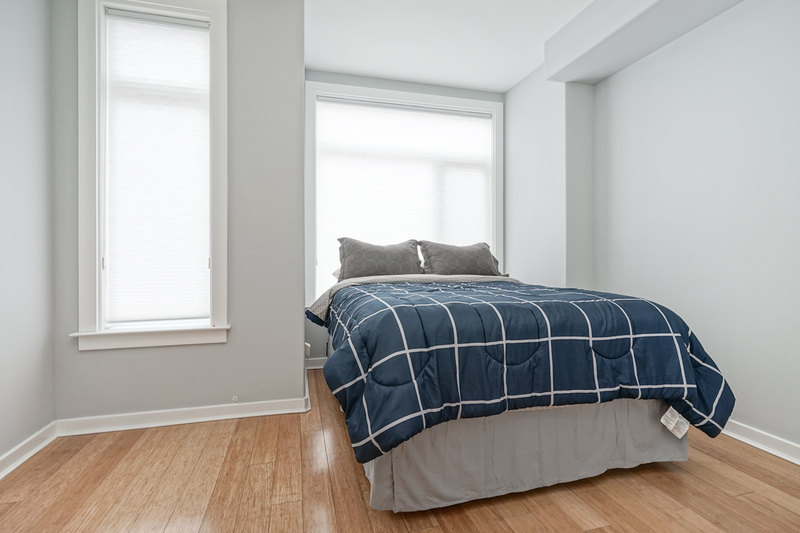 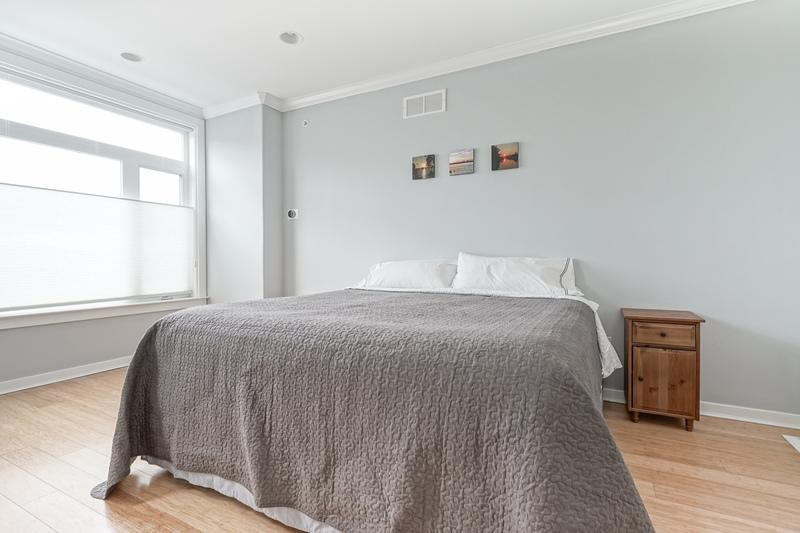 Boasting a ‘walker’s paradise’, walk score of 93, this home is incredibly convenient to the new Sprouts Grocery Store & Starbucks, the American Sardine Bar, Chicks, Burgs, On Point Bistro, and less than a 1 mile walk from Rittenhouse Square Park.